Melissa Sue Flores is greatly missed by her family and friends. Melissa was last seen by a friend in Cordell at 5 o’clock Saturday morning, January 27, 2007. She was 27 years old at the time of her disappearance. Melissa will be 31 this December. 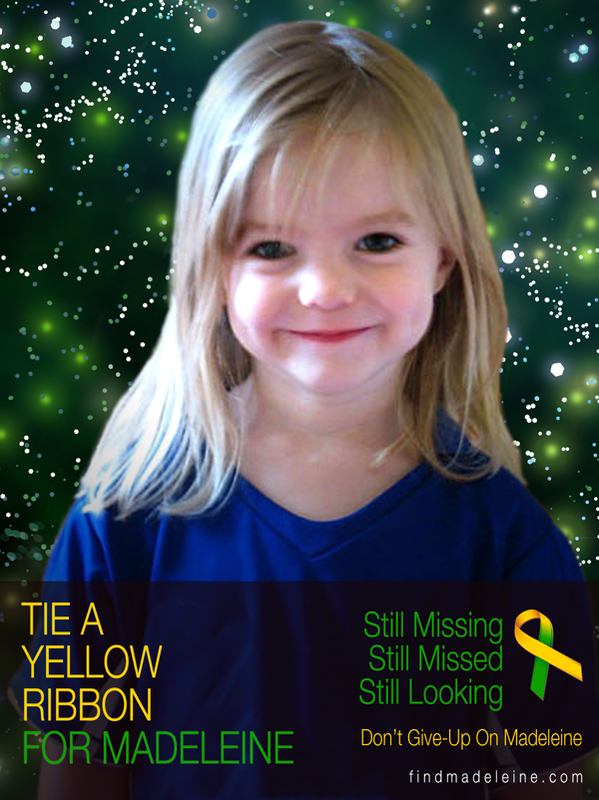 This will be the third birthday the family has had to endure since her disappearance. Melissa's vehicle along with other personal items were found at her ex-boyfriend’s home in Cordell. Above is a picture of a very beautiful young woman who has gone missing in mysterious circumstances. Tarot can give glimpses past present and future though is not 100 per cent accurate. Some of the details tarot gives to us may be past present and future therefore can pick up information from any of those epochs of time. It is always advisable to seek factual information and use tarot only as possibilities of the situation. I felt very drawn to Melissa's mothers post. I can only do my best and hope that tarot throws some kind of information forward and I ask what may have happened to cause Melissa to disappear when she did. Sometimes tarot can talk back in a difficult way but I hop' ie somehow it will be understood. This card that I have picked out shows that Melissa was in a situation where money was going out as fast as it was coming in. There are some very bad investments here regarding money/finances, even health could come up here but it generally shows imprudent handling of wealth. Now this might not be Melissa as we must remember we are asking what the cause was and it could be circumstances around her. This card shows me that someone was over conceited and a bit greedy over material matters perhaps they were envious of her? perhaps it is a case of gross deception here because of Greed and Envy. The 7 of pentacles reversed can show that someone had a short term plan because had the card been upright then perhaps the situation was going on a while. I see that someone wanted a quick fix for money at least its a possibility. The 5 of pentacles reversed shows someone who had bad times with cash but because of this situation they have done a lot better out of it. There are three people in the picture but for some reason as this is reversed I see them as 'hidden or undetectable' in the matter. There is a church in the picture and this is reversed also it sort of makes me feel that someone was 'thanking god' for some kind of answer to their own problems. Im not sure whether that is a good thing or a bad thing right now. Someone WAS out of work though for easily on and off during three years that I can see and money just slipped through their fingers. I cannot guarantee this is the the situation but I give what I see and appreciate that tarot may be incorrect in some finer aspects. Attempting to ask where Melissa may be this is always a tricky card for me - for one thing it is a Queen and she very rarely has direction upon her but she does connect with a RAINBOW - I have no idea if that is a place name or something of importance that might click. This Queen is a vibrant showstopping entertaining card. I think of bright lights big city when I see this card. The cat at the feet shows us that there are many hidden aspects here at the foot of the matter. This Queen with her salamanders reminds me of a very hot place - I can almost link Melissa to Africa california or Egypt - I cannot guarantee that is where she is what I am saying is that perhaps someone with those connections might be in the loop? On a general level this shows a person who sees what they want and they go after it - so I dont know how this would link to Melissa as a place or whether in fact it is a person which if it was may represent either a darker skinned lady over 36 or indeed could be a fair/red head . Often we consider it can be either gender here. The number on the Queen of Wands is a 13 which may or may not be significant. This may be the mother of a young man under the age of 35 who himself is very keen on cars as the Knight of Wands is considered being linked to Travel. A cheerful friendly quite cocky type of boy who might even be sports oriented and definately likes vehicle and travel. The Queen of Wands herself can be a businesswoman, mother, computer software person, performer, artiste or even a news reporter. So that person has a lot to say for themselves and I feel she is linked to the Knight of Wands who is a very daring type of chap. The Queen tells us about trips and travel and as Aries is part of this card I see go getter so whether this makes sense or not yet I am not quite sure. I do think that someone who has 'things to say' in this case or has spoken about what they know about Melissa is PRETENDING in other words, Im thinking they are a good actor/actress so looks like perhaps the hidden cat is telling us that somebody has not quite told the truth here? Whether that was about Melissa or to her I cannot be sure. The King of Wands to follow again is a man who may even be a mechanic or work with vehicles - fast cars would definately be a project of his or hobby and he is a daring risky type with plenty to say for himself and volunteers information. All these cards might actually tie together as one person of that again I cannot be certain. However, they must be linked to where Melissa is. I would add that there is a lot of agriculture on this card and suggestions of living in the country in rather a large kind of house. Having a country disposition seems to come to mind. Water can come in with the Queen of Wands that could be emotional matters or actual water in the surroundings. The Knight of wands links to these dates November 13 to December 12 and would have been around Melissa at that time. The Knight faces WEST but the Queen appears to be head on. So I think somehow we will have to look at the next card. I think Melissa went on a 'trip' with this man - he is an outdoors type and likes to travel and because of that and the Queen who prepares for a trip I would feel he is the one that would know where Melissa was because departure, seperation and disunion appears on this card. I dont know if Melissa was offered a lift somewhere or went somewhere one might even term as 'exotic'. It is quite possible that the Knight of wands MIGHT have dark hair he would be considered at least - a friend if nothing else existed between him and Melissa. Here we have again an agricultural card and in this card shows a gate. Often this shows someone going out in the big wide world to seek their life but you know when it is reversed it suggests that there were huge delays on that. In fact Melissa was nearly found under a year ago or in the first year. Certainly what I may suggest is that from now she could still be found under a year but this ace reversed truly tells us that there are huge delays on this and finding her. This is also giving me the idea that someone is rather scared about Melissa found because if she was something would be found out about MONEY/FINANCES . I seem to see agriculture as in countryside and even perhaps a very large garden it could even be part of the name of a place ''GARDEN' what I would speculate is that someone has shielded where she was. This card gives us North Winter and Midnight but I always put forward that it could reversed be in the South So she would be North to begin with then South to find her. Either really could be the case. She should have been found when she was 30 years old because the world card suggests a 30 year connection. I have already said that I felt she should have been found under a year and if she is 31 then perhaps it was in fact last year she should have come to light. However, not to despair because though there are delays it is not out of the question. At the moment the timing does not seem to be right - on any other occasion I would have said this girl WAS found but clearly she cant be unless she is right under someones nose and it is not being seen due to hidden elements? The two of pentacles which follows shows us that the direction is the same, either NORTH or South. Here we are quite some distance from water /ships or boats or basically just keeping out of stormy weather generally. I also see the word HOLIDAY. As you can see none of these cards are really pointing to death or anything like that but I dont give false hope to anyone as its not fair. What I would say is simply what I have given and make the suggestion that I did not see anything nasty here not at the moment but I would need to look again. Someone has been writing letters backwards and forwards to each other. I do not know where this comes in but there has been communication about Melissa and I cant be sure exactly what this about. I do not know if in fact someone is holding some documents of hers but if they are then thats when I would begin to worry a bit. I will look again very soon and digest this reading as I am sure there are other details that I have not yet come to see as this was brief in order to give a quick outline to the situation. this is a possibility not a guarantee. You're so awesome! I don't believe I've read through something like that before. So good to discover someone with some original thoughts on this topic. Really.. many thanks for starting this up. This website is one thing that's needed on the web, someone with a bit of originality!